Apple is suing video compression codec developer Sorenson Media. 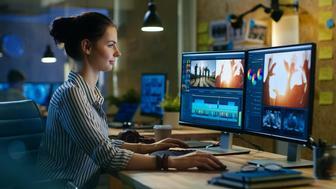 The company is attempting to prevent Sorenson licensing its video-compression software to Macromedia, Bloomberg reports. Apple claims that Sorenson is in breach of contract – the company agreed not to develop, market or license any form of its compression technology used in QuickTime. Sorenson has responded to Apple’s suit. CEO Jim Sorenson said: “We are greatly surprised by the presumptive filing of this suit without prior discussions or understandings between the parties. At issue is Sorenson’s recently announced decision to license its Sorenson Spark technology to Macromedia for use in products from its MX range. Apple claims to have paid Sorenson $4.5 million for the rights to use the company’s video compression technology in QuickTime. Sorenson contends that the suit has no merit, and that the matter can be settled outside court.